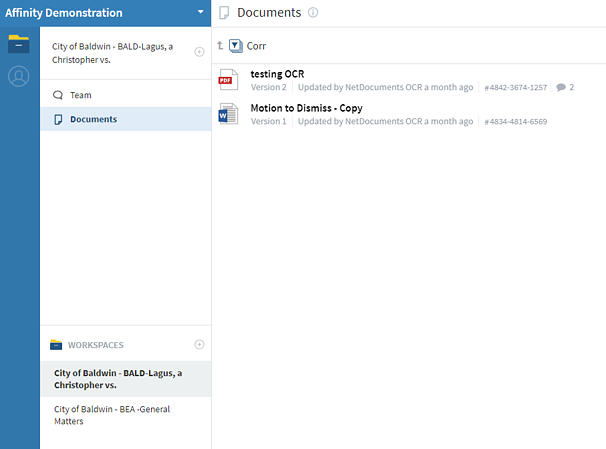 One of the most exciting new features of NetDocuments is the ndThread module available to all NetDocuments customers. This new add-on tool is positioned to become an essential part of any NetDocuments Repository. ndThread allows users to increase productivity while drastically reducing the email volume that traditionally accompanies document collaboration. This basis of ndThread is its powerful collaborative functions which allows users to generate an ongoing conversation associated with any document or file which exists within your NetDocuments Repository. Users have the ability to generate these new conversations or "Threads" and add commentary and questions which are automatically associated with the document and visible to other team members. Users of other collaborative chat clients like Slack will be immediately familiar with this type of collaborative conversation utility. For the uninitiated, it is easy to begin commenting on a document with a few clicks within the ndThread utility. Simply download the ndThread utility from the NetDocuments site, connect to your Repository, and then you are able to join conversations in progress or create your own. Just locate the document you'd like to begin a conversation on and then begin commenting. ndThread allows users to highlight sections of a document and make a comment. This highlighted section is then linked in the associated conversation such that other users can then follow that same link to the section in question and continue the conversation. These conversations are stored securely and are fully text searchable for ease in retrieval. All threads associated with a particular Workspace are also housed in the Threads tab that appears in the NetDocuments interface. ndThread is accessible either through the ndThread app or from within Workspaces themselves. For more information about ndThread, pricing for the ndThread add-on or any other feature of NetDocuments, just contact us at info@affinityconsulting.com, call us at 877-676-5492 or request a consultation. Drew joins the Affinity Document Management Team with loads of experience in the technologies that law firms use most. He actually began his career with Affinity Consulting in 2003 as a consultant working with a variety of systems from PCLaw to Amicus Attorney and Worldox, as well as managing our Client Services Team. Upon leaving Affinity, Drew joined the IT Department of Marquette University, managing their computer replacement program. He is thrilled to be back! 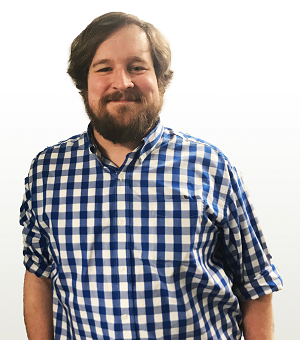 Drew’s favorite part about returning to Affinity and document management is his chance to rejoin the Affinity family and work with all of the great Affinity team members and clients.